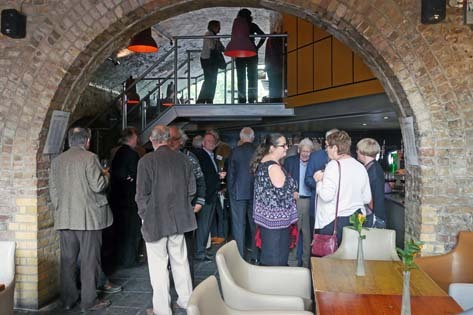 For our Autumn Lunch on 18th October we returned to a favourite venue, Azzurro at Waterloo. Yet again several members had to contend with a train strike in order to attend. Fortunately, the effort was well worth it. A good turnout (over 70 members and guests) ensured a convivial event and the venue had space for some sociable mingling before the Italian-inspired buffet. The media sector was strongly represented once again and Chairman Adam Phillips introduced the guests and reviewed news of members in the last few months. He also gave some highlights from the recent Members’ Survey (see Membership Survey topline results). There will be more detail on this at the AGM/Christmas Drinks on 6th December.